Wow ….What a wonderful day ….So much colour and fabulousness, Avalon really came alive as Glastonbury Town celebrated the Yule Tide. The Season to be Merry and Bright. Try not to miss a Frost Fayre in this Town, everyone is Different and Delicious. A tour of the Angel energy in the Bedrooms. I created these short films for the Soul & Spirit Magazine Facebook Live Takeover Day. As a contributor to Soul & Spirit Magazine, I was asked to Answer Angel Questions and show their readers a little of what I do at the Angels of Awakening Academy. 3rd January 2019 was Take Over Day !!! The Day Soul & Spirit Allowed Me To Broadcast Live On Their Face Book Page. Happy New Year to all my guests, clients friends and Soul & Spirit readers. The Angels of Awakening are taking over Soul & Spirit Magazine’s Facebook Page for the day on the 3rd of January 2019. Please join us. 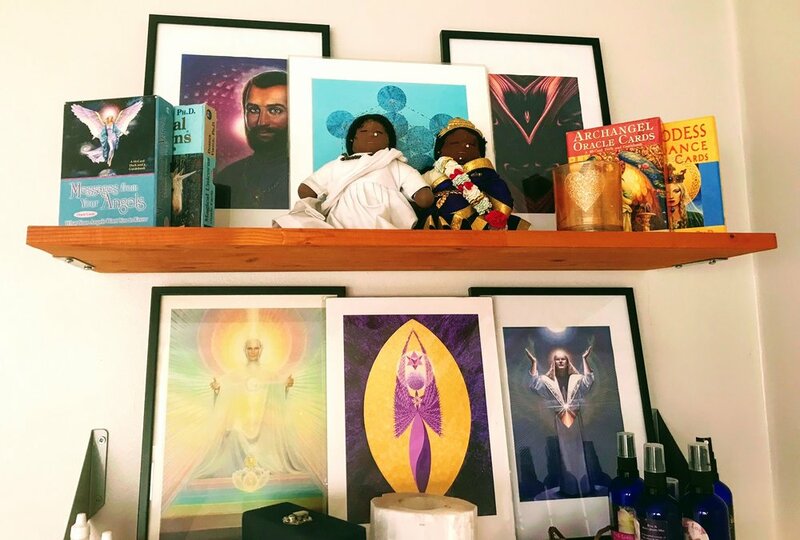 Everything on my Altar has a personal energetic connection to me, it feels like it is part of me and I am part of it, an active sacred spiritual altar will be like a living, breathing consciousness. The Angels of Awakening are calling for Peace throughout all the kingdoms of the world as this year comes to an end and another one begins. It is the season to be jolly and festive, to be kind and compassionate to your fellow man/woman, to love thy neighbour and spread happiness and love throughout your community. This is the traditional time for Angels to appear, to show themselves in acts of kindness. For you to hear the sounds of the angelic realms flowing from the Carol singers as the choirs sing out their joyful messages. In many countries Angel ornaments of many shapes and sizes adorn the Christmas tree as symbols of peace and serenity. In Germany, the USA and Canada the volume of Angel gifts is quite staggering. In the UK there are more available than in the past - Angel wings are especially fashionable. There are many Angel statutes of Peace to be found in big cities, the most prominent one in London is the Golden Angel of Liberty, which is on top of the memorial outside Buckingham Palace in the Mall. There is another huge Angel of Victory on Shepherd’s Bush Green. In Brighton there is a beautiful Angel along the promenade. Then of course there is the largest one of them all - The Angel of the North. Most big towns and cities have an Angel of Peace somewhere, you just have to look. Do let me know if you have a favourite angel, send me a picture and the location and a few words to explain why it’s so special to you. I would love to follow up in another article for Connections Magazine. I love this publication; it is good value, so informative and fits in my handbag and pocket. My friend Laraine Krantz took over 200 of photos of stone and bronze statues of Angels from all over London, even travelling to Italy for my first book Angels of Awakening, Lessons of Love Life & Creation. Each Angel of Awakening image represents one of the 36 Laws of the Universe, wise laws that have been passed down through the mystery schools and by great scholars since the beginning of time. The black and white cover picture of an Angel with 2 cherubs is a 3ft high black bronze statue that can be found outside of the Royal London Hospital, Whitechapel, London E1. This was the Angel that kick started my interest and prompted me to write this book. She is one of 3 Angels on this plinth, Faith, Hope and Peace/Liberty; it was a gift to King George from the Jewish community of Whitechapel after the First World War. Nowadays she is hidden amongst the market stalls of the mostly Indian community, very colourful and very busy. I’d like to share with you how I found the first angel statue. I was standing at the traffic lights waiting to cross the road to climb the steep steps to the Royal London Hospital, where my mother was having an operation to remove a brain tumour. Suddenly I heard a very loud song come from this stone pillar beside me; it was so unexpected I jumped. I burst out laughing as it looked and sounded like she was singing directly to me. I visited my mum everyday for the next two weeks and that song or something equally as appropriate was singing through the angel on the top of the plinth. When my mum was discharged I spoke to the market stallholder and thanked him for the daily tunes from his radio. He laughed as he told me it wasn’t his radio, someone had left it behind his stall, but because it was so cheerful and was attracting customers he had continued to turn it on. Thank you Angels of Awakening for this message that my Mum was going to recover and I wasn't to worry. She’s now 77 years of age and very happy. The Angels aren’t just symbolic you can feel them energetically and know they are there emotionally. These Angels are truly messengers from the Divine, bringing God’s Love into our lives everyday; you just have to be aware that they are there. Connect to and Call them, whenever you can. Laraine Krantz and I had been to Egypt a couple of times together with 40 other friends to the Great Pyramid Plateau, The Sphinx or Tefnut as she is known (the great spit from the sky!) and many of the Temples along the Nile. I had met the Angels of Awakening on my first Journey with Isis Livingstone in the King's Chamber of the Great Pyramid in 1999. That was the year I met Ric Weinman, founder of VortexHealing ®Divine Energy Healing. I started to learn Merlin’s Healing Art and realised I was already working with Merlin with the products I was promoting on QVC, every Dream Wizard Pillow packet had a picture of the great Wizard on it! My healing journey had begun in earnest with Merlin and the Angels of Awakening, I continued to go to The Land of Kemit, Ancient Egypt every Spring and Autumn Equinox with Isis, learning more about the Angels of Awakening and the Ancient secrets of the Flower of Life. I love going to all of the VortexHealing® classes I can. I travel all over the world for the next initiation, keeping up with the latest healing level. Merlin was always present with his Divine Consciousness Healing; the linage has grown into a truly amazing awakening vehicle of transformation. There are many Awake Wizards in the world now, including myself, who love Merlin’s healing tools of Divine Magic. The last classes for me were Original Veil, The DNA transformation, Deep Awakening & Embodiment, followed by an Earthshift & Energy System Intensive. The Earthshift was over Samhain, the Super Moon season and it was the really intense time of the American election. The Angels assisted Merlin in building a Peace Structure to help Humanity find Peace. It was an incredible wave of energy from Divine Creation permeating through all of the Kingdoms of the Gaia. There were many other amazing Wizardry things all designed to bring more Peace to the World. We celebrate the Winter Solstice with a retreat on the 21st December 2016 at the Daisy Centre in Glastonbury; it is always a magnificent time, full of joy and hope. This time the Angels of Awakening want you to have a beautiful ceremony, a celebration of all the new positive energies that are coming in for the New Year, the new cycle filled with Love, Light and Peace. Come and join us in person or on line we would love to see you. It has been an amazing year of changes, on every front, the web, the matrix, the energy fields have all been on overdrive. The numerology for 2016 adds up to 9, the number that brings the energy of “the end of one cycle the beginning of the next”. I truly believe the challenges and letting go we have done this year will make us very strong and prepared for a bright new peaceful future. Thank you Angels of Awakening for all the experiences this year, I’ve certainly learnt a lot, I hope you have too. Remember to Pray for Peace. Do You Feel Like A Winner? It’s the time of year when Soul & Spirit Magazine give their readers the chance to recognise the work of spiritual superstars by nominating them for The Soul and Spirit Awards 2017. In return you get the chance to win one of three fantastic prizes. In the beautiful garden of the Daisy Centre “Rosie the Majestic Rose Quartz” sits in grand splendour beside the magical fish pond. One Hundred Thousand Angels Came to Glastonbury Last Friday! I believe One Hundred Thousand Angels manifested as white feathers in St Johns' car park in Glastonbury. I have always been told to … Call and they will come. We are having a fun day on Facebook with Soul & Spirit magazine readers. Answering any questions about the Angels Of Awakening. Please Make a Date for your Diary 03.01.19 and join us. Until the ceremony started we did not fully appreciate the enormity ad significance that this day would bring. The release, completion and acceptance of the futility of war, especially the way WW1 was conducted. Lest we forget is the poignant message ingrained in our psyche, or so it should be, to bring Peace upon Earth.. The 11.11.11 Angels of Awakening Peace Ceremony at the Daisy Centre in Glastonbury and the Armistice Centenary. Join me in sending prayers and blessings to all those affected by the heat, fires and floods all around the world, especially in Greece. We will have a Prayer vigil tonight at 7pm, wherever you are please join in with the Rose Quartz Community. We will all join in a minutes peace with ‘The Pearl of your Heart’ meditation sending Love, Peace, Unity, Compassion and Harmony. I Love Dragon Island… Paul and I returned to Arillas in Corfu for our 15th Wedding anniversary. It is such a beautiful space of love, with wonderful people and a fabulous vibe. We started the Rose Quartz Community in 2006, we joined together in Mediation, with Music and Sound, with many of our previous guests, clients and friends. Anyone who takes a rose quartz angel or rose quarts crystal home with them, takes a little bit of love from Avalon. We intentionally activate and program our Rose Quartz Angels and Rose Quarts Seed Crystals, to spread this love along the Rose Line that is being created around the world, by our actions of love, light and joy. My Gold Bags and I went off on our travels again, this time to Virginia Beach in USA for the next level of VortexHealing® training…this is the “cutting edge technology” of Divine Energy Healing. It was the first time this class had been taught. The transmissions have just come through for the students, our systems had to be ripe! For twelve years we, Daisy and Paul Foss, have been running the Daisy Centre Retreat in Glastonbury as a Bed and Breakfast. In these years of selfless service we learnt so much about ourselves and each other, mostly how not to do things, the lesson of discernment never far away! 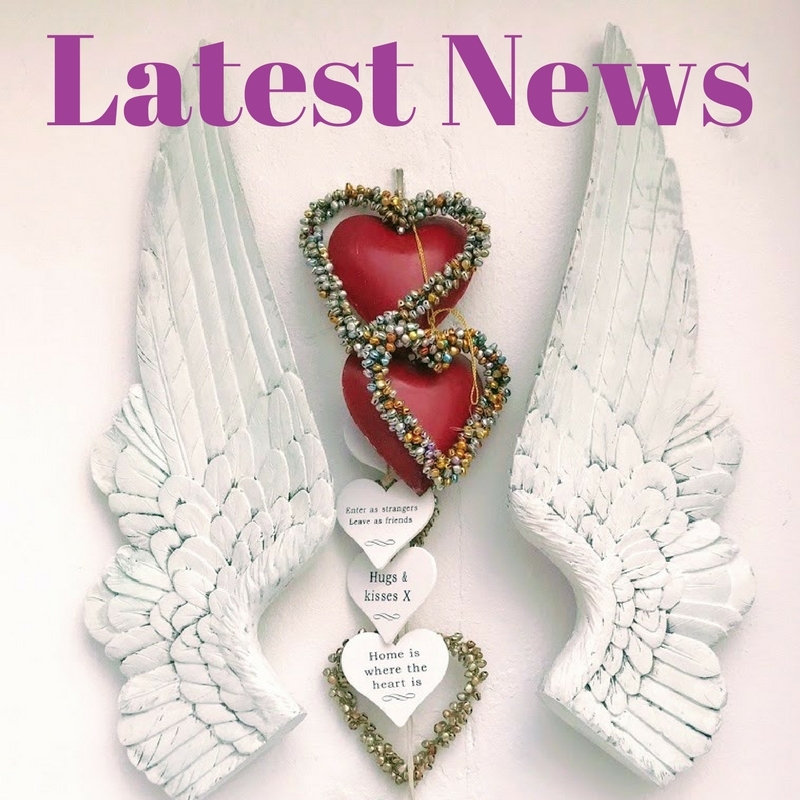 We have won so many awards, five years running as the favourite spiritual retreat from Soul and Spirit magazine readers as the Daisy Centre and as Daisy Foss, Angel Expert. We won Channel 4's 'Three in a Bed' TV programme competition, all so much fun. We got 4 out of 5 in TripAdvisor and Trivago. Although we are no longer planning on selling the house we are still Going Global - expanding the healing practice through high tech communication mediums, like this website, webinars and podcasts, and organising Angels of Awakening workshops and retreats in new venues around the world. Together we will go travelling around the world promoting the messages from The Angels of Awakening, but for now we are offering Angelic Healing Treatments and Therapies in London and Glastonbury. At the Daisy Centre we offer accommodation, Healing Weekends, Angels of Awakening Academy week long Retreats and the whole house is available for groups to hire for their retreats or ours. Paul is concentrating on his new music venture with Stevie Kosmetiq. They have formed a new and very dynamic commercial music company called Qritikal Media. My London Therapy Room had a revamp too! So Back To The Beginning…. It all began in May 2005 when I came to Glastonbury and met Doreen Virtue. I asked her if there was any chance of joining her Angel Camp at short notice, she said “Yes! come along!” It was a full seven days of Doreen Virtue teachings where I qualified as an Angel Therapy Practitioner®. It was a very interesting and wonderful week. I met some wonderful angel friends who I am still working with today. The course confirmed much of what I already knew as well as learning much more about the Elohim Angels and confirming my connection to the Angels of Awakening. In July of the same year, I came to Glastonbury again. It was the annual opening of the Sirius star gate, known as the Lion's Gate, a portal with extreme waves of light that activated the coding within our DNA to the next level. So how is Marina going to pay for it? On the way home from this ceremony I was talking telepathically to my aquamarine crystal Marina and she said 'why don't you buy a house in Glastonbury?' When I got home to London at 2am in the morning and conveyed that message to Paul he said 'Okay, so how is Marina going to pay for it?' In hindsight she has done very well and enabled the money to flow through the Angels of Awakening. The next day we looked on the internet and saw the house in Church Lane that was to become the Daisy Centre Angelic Healing Retreat in Glastonbury. We came to have a look two days later on the Friday morning. The agents said it had been taken off the market. We left a note for the owner to say we were still interested. She rang me later and asked me what I did. I told her I was an Angelologist and I connected people with their Guardian Angels. She asked me how I knew if there were Guardian Angels around and I told her that there were normally lots of white feathers. At which point she sat down and went very white and said 'you're never going to believe this! My husband found a white feather in his breakfast this morning and asked what it meant! He put it in his top pocket and went to work.' I said that his Angel obviously had a message for him. We loved the house and arranged to come back at 7pm that night. When we met her husband he beamed as he walked towards me, pulling the feather out of his top pocket, he'd had it there all day! By 7:30pm that night we had made arrangements to buy 6 Church Lane. It was a truly Angelic encounter, one I chuckle about every time I am asked how did you find this magical place! ….I didn't the Angels did! The Angels of Awakening said to me during an Angel meditation, to build an Angelic space and they will come, just like in the ‘Field of Dreams’ the 1989 movie about a farmer from Iowa who hears a voice from the spirit of Shoeless Joe Jackson and other dead baseball players who come to play in his field. Ray Kinsella was searching for his dreams all of his life until one day, his dreams came looking for him. The movie was based upon the book Shoeless Joe (1982) by W. P. Kinsella, do see it if you haven’t yet, it has the feel good factor about it, a classic film. the Daisy Centres Retreat enabled Earth Angels to find sanctuary, just ‘to be’ and meet others like themselves. This is a very important part of the process of Awakening, recognising your true essence. We have met some amazing people, from all walks of life. 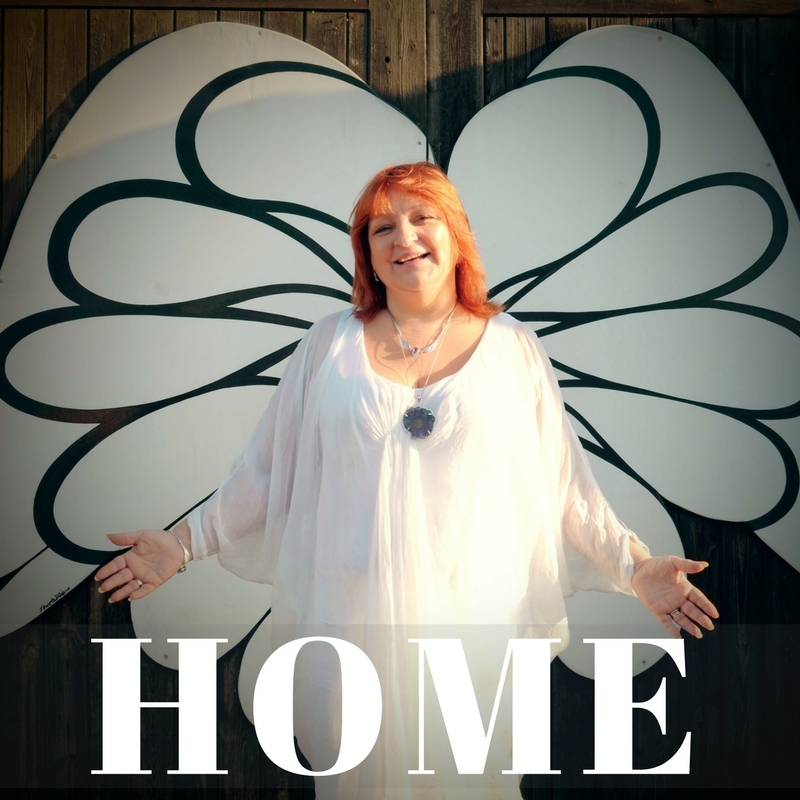 We have loved the experience of inviting complete strangers into our home to meet the Angels of Awakening. Many guests have become good friends and have become part of the 'Rose Quartz Community' this is made up from Earth Angels who have stayed or visited The Daisy Centre in Glastonbury and become Angel Ambassadors of Avalon around the world. On 11.11.15 at 11.11 the AAA joined together in a meditation on the etheric as one era ended and another began, this marked the start of Daisy Foss and The Angels of Awakening go Global. This next cycle for the Angels of Awakening is very exciting, there are so many new projects formulating in the ether as we write. We will continue to work with the Angels all over the world, online in person, through my new books, The Angels of Awakening Blog, podcasts and webinars. The Daisy Centre Space has been built with such a lot of love, by Paul and myself, a little bit each year. It has brought joy and laughter and all the rest of the spectrum of emotions. There have been many times I have cried and wondered how we could carry on. We have learnt so much about ourselves and the magic and mystery of Avalon. We have had so many wonderful housekeepers, PA's and guardians of the space over the last decade. There are so many wonderful memories from so many amazing people, groups of pilgrims and their leaders from all over the world. We thank you all for sharing our dream and hope you will continue to share it with us over the coming years. Please come and stay with us and the Angels of Awakening at the Daisy Centre, we'd love to see you. For more information on rooms and prices please Click Here. If your friends would be interested in the Daisy Centre and the Angels of Awakening please like and share this post! As this year unfolds and the horrors of 2017 start to fade, it is only now that we can understand our feelings of how global, local and personal tragedies have affected our lives. Whether it is a personal event, like a house fire, or an enormous national disaster with catastrophic consequences for many people who live and work in high rise buildings. There is no comparison in the enormity of these calamities, but the personal feelings can be the same, and the process of healing is also similar. Your Life can change dramatically in a moment. Everything seems to be normal, life is trucking along, and then everything changes, in the flash of an eyelash, the flicker of a flame. Whatever you think and believe is going to happen can collapse in a moment’s notice, in a puff of wind. Dreams are misinterpreted and words can get lost in translation. Your world can fall apart or you can learn from the experience and count your blessings. My personal experience of the past two years has been a roller coaster of emotions; a multitude of confusions. My head said one thing, yet my heart felt something very different. I knew I had to change the modus operandi; the Angels of Awakening wanted me to do something different. They keep saying, “We have big plans for you! You are going Global!” I took this very literally, I put the Daisy Centres up for sale and started to organise tours abroad. I planned it all in my head, felt the release in my heart and knew I would write and travel the world with Paul. We have great faith that this dream will manifest once we have completed our unfinished business in Avalon. We found someone who wanted to buy the house, but it was not “To Be” for a myriad of reasons. Our hopes and dreams and aspirations were set, the physical and financial toll was extensive, so when they were dashed and we had to start again it was tough. The amount of trauma and grief you feel is a reflection of the scale of the tragedy, and some people deal with these feelings better than others. The process of losing your home through a fire or being evicted from a property can be very stressful and shocking, even buying or selling a property you have invested so much in, can be traumatic. If you are reeling from any kind of grief or loss invite the Angels to help you heal, especially Archangel Raphael to restore your wellbeing and Archangel Michael to give you the strength and protection to feel safe and carry on. If you'd like a Vortex Healing or Angels of Awakening Process to help you through your healing please get in touch. call me and make an appointment. The Angels will be very happy to help. After months of trauma, injustice, grief, loss and unhappiness, all these emotions and many more can express themselves as anger, as a white-hot fire that rages through your body, burning from your soul. This anger can be from deep frustrations of life, feeling like you are stuck in a rut, going over the same old thing, bad habits and out of date ways that are the result of old patterns and even older conditioning. These ego positions have to shift out of the old paradigms and into the new ones. After my experience, I feel like a Phoenix arising from the Flames of Ascension. Metaphorically Sacred Fire is a beautiful force of nature, clearing, cleansing and releasing all negative energy in our physical, emotional and mental bodies. Merlin and the Angels Of Awakening know that my pathway of ascension is rooted in Avalon Glastonbury, it is my spiritual home. They have guided me so far and I trust them implicitly to shine the light on this exciting sacred journey of my soul. had moved out of the Daisy Centres, I had packed up, I had taken Merlin, Quan Yin and some Angel statues, and all my personal belongings to my other home in London. It was such a shock when all our plans changed so suddenly. Thankfully the love and support I feel around me from my family and my faith in Merlin and the Angels Of Awakening have helped me grow in ways I never thought possible. Manifesting a friend in need and being able to help. On my first trip back to Glastonbury for Imbolc, I bought my huge Merlin statue back in my little sports car. See my blog post 'Merlin and the Angels' about it, with lots of funny pictures of him. On the second visit, I met a very shocked friend in the High Street and she told me she had lost everything in a fire; thankfully she was not hurt badly. As a kindred spirit I didn’t hesitate; I offered her a place to stay immediately. After all we have a lot of rooms available as we thought we would be closed for refurbishment. The experience of losing everything is both traumatic and liberating, it is amazing the energetic burden we hold when we take so much for granted and hold onto so much stuff. A reborn Phoenix, rising from its ashes from Aberdeen Bestiary. interesting to compare the energies of the day. We have transformed the space beyond recognition. 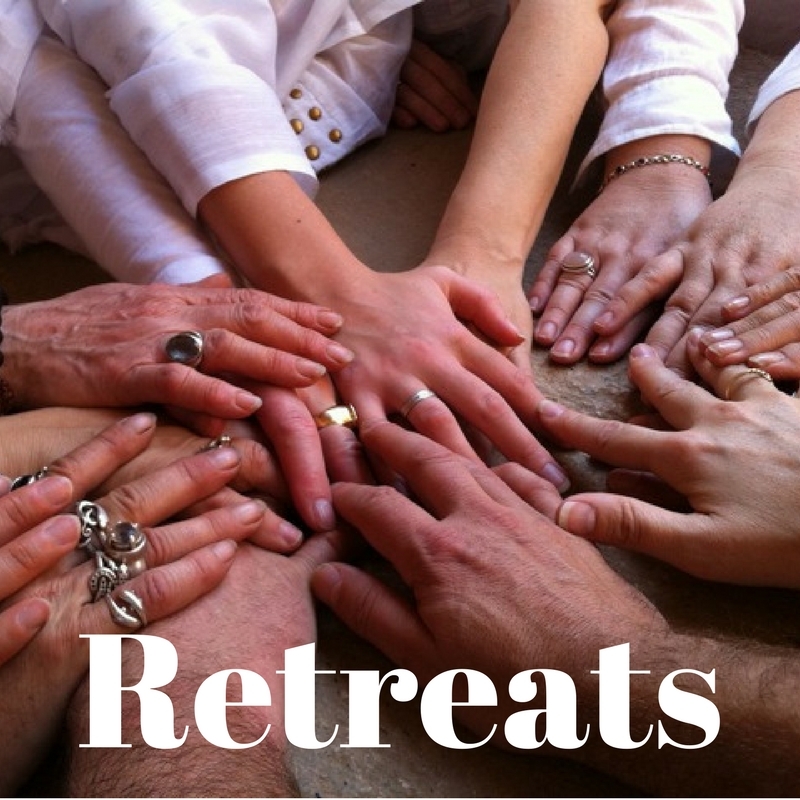 The experience we have of facilitating for spiritual groups is pure gold, second to none. We intend to build on that proficiency and rebuild from the ashes to our former glory. Angels bring their Divine Light through to shine through the energetic ley lines from Avalon out into the world. The more you send out your healing light, in any way you can, the stronger it becomes. You are contributing to the communal energy pot of collective healing light that can be harnessed by those light workers and energy healers who share this amazing Angel Love Light with the world. Women’s day I was listening to radio 4’s “Women’s Hour” when two very courageous women told the presenter how the community came together. I loved this and I quote “for a few weeks it was the ‘Peoples Republic of West Bourne Grove’ that fed and clothed and comforted the survivors, not just those caught up directly in the fire, but all those who witnessed it too”. It conjures up a colourful and determined intention of solidarity throughout the UK. This is truly the spirit of the Phoenix arising from the Flames.